The holiday season is upon us which means lots of holiday goodies and plenty of holiday activities for our preschoolers. There are a ton of crafts to make, but it is still important to sneak in those learning activities too. 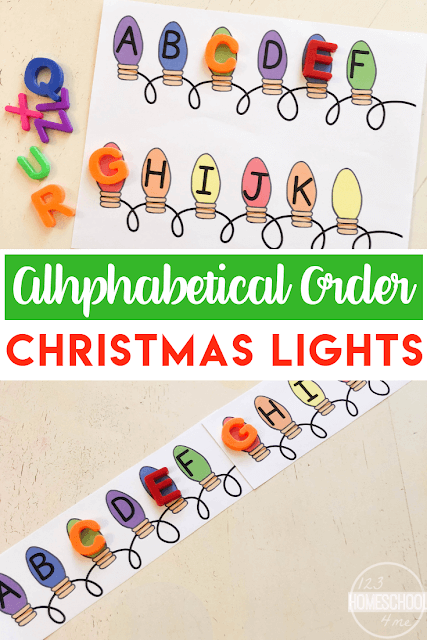 To get our kiddos ready for the season we have a fun free printable Alphabetical Order Christmas Lights where kids practice alphabetical order. 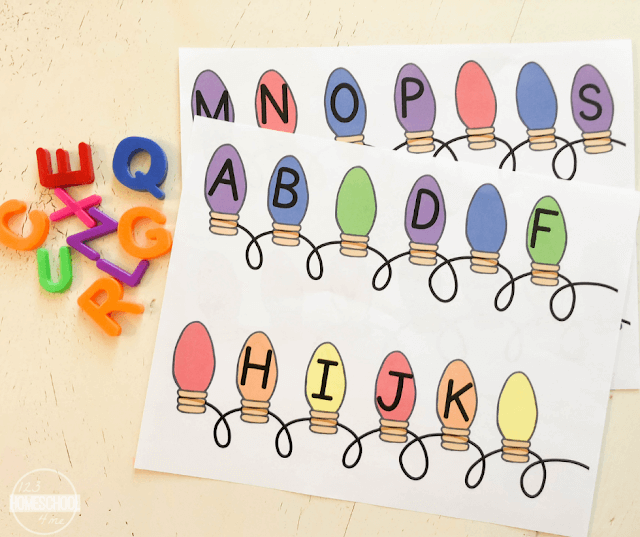 The ABC Order Christmas Lights Activity is a fun and interactive way to work on alphabetical order. Often we teach our kids the letters out of order and in a way that makes most sense for phonological awareness, however it is still important for our kids to understand alphabetical order as many organizational systems are dependent upon ABC order. Your preschool, prek, and kindergarten age kids are going to have a lot of fun filling in the Christmas lights and working on ABC order. Laminate the template for multiple uses and durability. 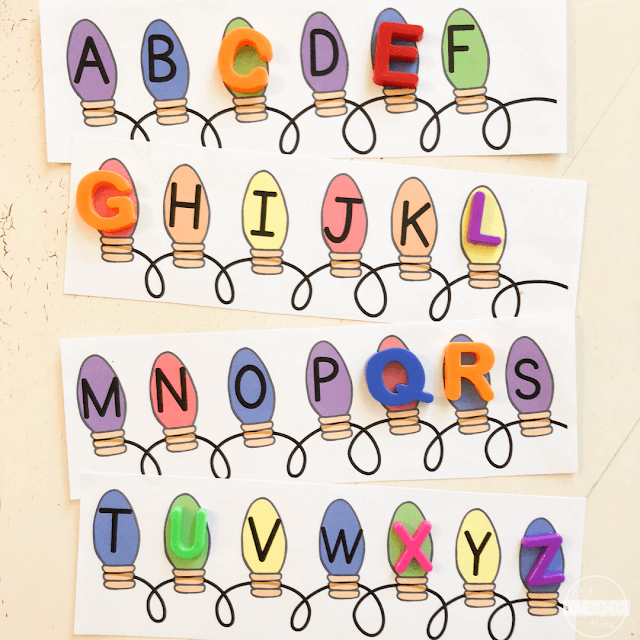 For early learners you can have them match uppercase and lower case letters right on the Christmas lights as well. Looking for more pre-k activities? Check these out.